Is the Druid leader, Emma Restall Orr, related to the late J. Edwin Orr, co-founder of the National Association of Evangelicals who with Charles Fuller commissioned John Stott to revive the World Evangelical Fellowship, which is an NGO of the United Nations, from the “dying embers” of the Evangelical Alliance, which was founded in 1846 at an unprecedented global missionary gathering in London at the United Grand Lodge of England headquarters at Freemason Hall. Was John Stott, who was Honorary Chaplain to Queen Elizabeth (a Druid Bard), a leader in the Anglican Church and a major figure in the Evangelical movement, involved in the Spirit of 2000 Christian-Druid dialogue and reconciliation meeting or prior Christian-Druid gatherings? As a leader in the Church of England, John Stott was surely aware of the Christian-Druid Reconciliation Conference, and yet he remained silent. Only two lesser known Anglican clergymen in attendance were identified, so it remains a secret who were the other clergymen in attendance. Few Christians today have heard of either J. Edwin Orr or John Stott, but they were dominant figures in transforming the Christian Church into the global apostate church we see today. Their influence on the Christian churches was pervasive and deadly, a testimony to the success of the New Age “Plan” revealed by Theosophist Alice Bailey in her 1922 book, Initiation Human and Solar. Whether or not J. Edwin Orr was related to Emma Restall Orr, or John Stott attended at any of the Druid-Anglican dialogue and reconciliation meetings, the life work of these two men made possible the Masonic infiltration of the Christian denominations and churches and the mainstreaming of paganism in the present-day apostate Church. The Masonic strategy for transforming the Christian Church, undermining its fundamental doctrines and modifying the Great Commission—from personal evangelism to “world evangelization”—was conceived by the Prieuré de Sion in Paris and implemented in Great Britain, whence it emanated throughout the world. According to Grace Community Church elder, Phil Johnson, “In the 1940’s, Dr. Jack [MacArthur] served as an Extension speaker for the Moody Bible Institute. Later, while pastoring in Southern California, he and Edwin Orr founded an outreach ministry to people in the film and television industry” (In Memoriam: Dr. Jack MacArthur, 1914-2005) That outreach ministry was the Hollywood Christian Group which met in Henrietta Mears Forest Home. Roy Rogers, 33° Mason and convert of Jack MacArthur was a member of The Hollywood Christian Group. 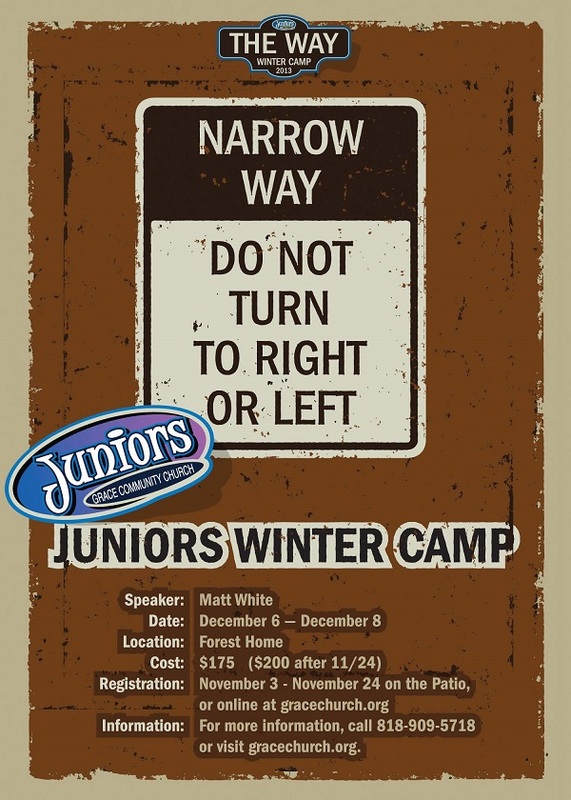 (See: Jack MacArthur's Involvement at Highest Level of World Ecumenical Movement) Forest Home also hosts the Winter Youth Camp attended by children in John MacArthur’s Grace Community Church (See Part 8: John MacArthur’s Druid Festival. Abraham Vereide, who founded the National Prayer Breakfast was mentor to Harald Bredesen who, in turn, mentored Pat Robertson (CNP). Robertson’s ancestor, Sir Winston Churchill, who was an active Freemason and a member of the Albion Lodge of the Ancient Order of Druids, which founded Oxford University in the year 1245 A.D. (See: Project Megiddo: Dual Pedigrees) Sir Winston Churchill directed the first International Congress of Eugenics in London in 1912 and also maintained a friendship with Billy Graham, a 33º Mason and prominent Merovingian family of medieval Scotland. In Part 13: History of the Druids, evidence was presented that the Druids were Hebrews of the tribe of Dan. A recent book titled When Scotland Was Jewish proposes that, based on DNA and other evidence, Scotland was and is largely Jewish. The Jewish Campbell Clan branches (septs) include Clan MacArthur and the Orr Clan. “Septs: Arthur, Bannatyne, Burnes, Burness, Burnett, Burns, Connochie, Conochie, Denoon, Denune, Gibbon, Gibson, Harres, Harris, Hawes, Haws, Hawson, Isaac, Isaacs, Iverson, Kellar, Keller, Kissack, Kissock, Lorne, MacArtair, MacArthur, MacColm, MacColmbe, Mac-Conachie, MacConchie, MacEller, MacElvie, MacGibbon, MacEver, MacGlasrich, MacGubbin, MacGure, MacIsaac, MacIver, MacIvor, MacKellar, MacKelvie, MacKerlie, MacKerlich, MacKessack, MacKessock, MacKissoch, MacLaws, MacLehose, MacNochol, MacNocaird, MacOran, MacOwen, MacPhedran, MacPhun, MacTause, MacTavish, MacThomas, MacUre, Moore, Muir, Ochiltree, Orr, Pinkerton, Taweson, Tawesson, Thomas, Thomason, Thompson, Thomson, Ure...” (pp. 50, 98, 237) 1. In 1951, John Stott worked with co-founders of the National Association of Evangelicals, J. Edwin Orr and Charles Fuller, to revive the defunct Evangelical Alliance as the World Evangelical Fellowship, for which he formulated the guiding principles. As previously stated, The Evangelical Alliance, which continues to be a functioning ecumenical body in the UK, was founded in 1846 in the United Grand Lodge of England headquarters, Freemason Hall. Source: David, M. Howard, The Dream That Would Not Die: The Birth and Growth of the World Evangelical Fellowship 1846-1986, Paternoster Press, 1986, p. 7. “As John Stott has stated, “The story of the World Evangelical Fellowship, with its roots in the Evangelical Alliance (which is more than one hundred years older than the World Council of Churches), deserves to be better known.” Billy Graham adds, “WEF has been a major force in uniting evangelicals throughout the world.”(1) The evangelical movement, highlighted by the 150th-anniversary celebrations of Britain's Evangelical Alliance in November 1996, makes a fascinating study in missiology. Its growth has been fueled by its core characteristic - the evangel, the preaching of the Gospel worldwide. WEF itself is, in a sense, the bottom line of mission: churches planted as a result of mission, forming a fellowship to help each other disciple the nations. Immediately following the Lausanne Consultation on World Evangelization, John Stott delivered a report to the World Evangelical Fellowship on WEF’s Theological Assistance Programme in which he stated that “theological education should be critically reconsidered.” This led to formation of the World Evangelical Fellowship’s Commission on Theological Education. The World Evangelical Fellowship’s role in theological education is comprehensive and global, encompassing the planning and development for all theological curriculum and leadership development through the Rockefeller-funded accreditation agency, the Association of Theological Schools. The transformation of Protestant churches to serve the corporate-run world government has been made possible through Rockefeller funding of Protestant seminaries and establishing new accreditation standards through the FTE-affiliated Association of Theological Schools. 2. The World Evangelical Fellowship is found in the United Nations’ Database as an NGO in Special Consultative Status with the Economic and Social Council (ECOSOC). A 1996 resolution outlining the stipulations for “Consultative relationship between the United Nations and non-governmental organizations” requires that organizations in this category be in agreement with the “spirit, purposes and principles” of the U.N. and “undertake to support the work of the U.N.” Also, such organizations must promote the goals of the U.N. Universal Declaration of Human Rights. 3. In 1974, John Stott co-directed the International Consultation on World Evangelization in Lausanne Switzerland. He also framed the Lausanne Covenant, the global ecumenical / interfaith pledge which many Christian ministries are required to sign. “As we track... many names and associated organizations cause us to diverge here and there—a most interesting journey. In the end, a very alien landscape emerges. “In 1984 Evangelical Ministries to Cultists became Evangelical Ministries to New Religions. Now terms such as New Religions and New Spiritualities are commonly used by many in the discernment leadership circles to replace the terms cults and false religions––considered to be insensitive and counter-productive in evangelizing cult members. “But has this shift achieved the acclaimed results? Are great numbers in these New Religions being evangelized and coming to Jesus Christ? Or is there a hidden agenda to transform Christianity, first, by reimaging the cults as ‘new religions’ and then assimilating them into the mainstream of a new form of Christianity? rituals and liturgies that find the divine spirit in the natural world. Often their ethics involve them in anti-globalisation protests and ecological activism. “Far more notice needs to be taken of the culture of re-enchantment which is beginning to shape the Western mind. 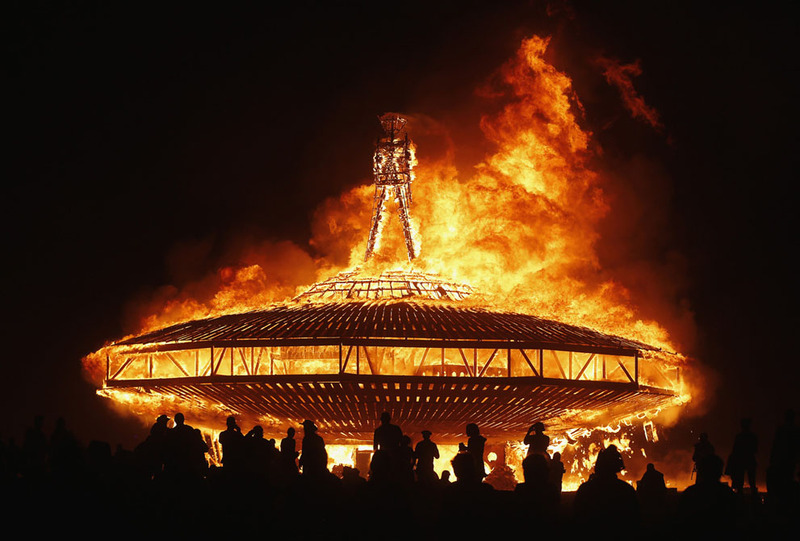 In particular, new religions and alternative spiritualities should not be dismissed as superficial froth or the dying embers of religion in the West, but are rather the sparks of a new and increasingly influential way of being religious, a way of being religious which is shaping and being shaped by popular culture (Partridge 2002, 250). John Stott was also Vice President of the International Fellowship of Evangelical Students (IFES) [UK, 1947], which has offices in 140 countries. IFES serves as an umbrella to InterVarsity Christian Fellowship of Canada and to the U.S. InterVarsity which sponsors the Urbana conferences. Stott was also a contributing editor at Christianity Today along with two other IFES officers, IFES President Samuel Escobar and Rene Padilla, the Latin American IFES representative, who is also on the World Evangelical Fellowship (WEF) International Council—the same WEF which Stott helped to re-ignite to be the behind-the-scenes directorate for the global, ecumenical Lausanne movement. The World Evangelical Fellowship, the Lausanne Consultation on World Evangelization and its offshoot, Evangelical Ministries to New Religions are the evil fruit of John Stott’s life work. It seems an understatement to say that John Stott’s authority and influence was worldwide and enduring. In 2005, TIME magazine named him among the 100 most influential people in the world. 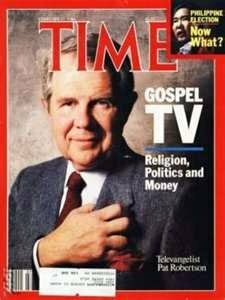 (“The 2005 Time 100”) Yet many Christians have never heard of this dominant figure in Evangelicalism. A. Willis Robertson was abbreviated for ‘Absalom’ Willis Robertson, a Merovingian Jewish Scottish name. 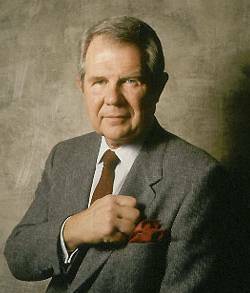 Pat Robertson belongs to Scotland’s Clan Robertson which, having descended from Scotland’s Contender and King, Robert the Bruce, is one of the “sacred families” of the Merovingian dynasty. “International Christian Leadership was designed specifically to capture wealthy or influential leaders of society, into a network controlled by the group’s patrons. It was initiated during World War II by Col. Sir Vivian Gabriel, a British Air Commission attaché in Washington, and leaders of the Episcopal Church. The Netherlands royal family became the group’s prime sponsor and center of world operations in the 1950s. Bredesen wrote that his personal trainer, Abraham Vereide, claimed to have ‘won Netherlands Prince Bernhard for Christ.’ A strange Christ it must have been, because the former Nazi SS officer Bernhard was just then busy launching the globalist Bilderberg Group’s conferences and creating the World Wildlife Fund, with Britain’s Prince Philip. “[Abraham Vereide] was the founder of International Christian Leadership and the man responsible for the Presidential Prayer Breakfasts, where the President and some 1,600 of the nation’s leaders gather each year to hear the Gospel. I had come to know ‘Abram,’ as we called when I was making contacts in Washington, D.C. ... Through his work, he had met and influenced many world leaders for Christ. On that night, he sat in the corner of this very ordinary hotel room, a ruggedly built, commanding figure, with chiseled Nordic features, smiling blue eyes, and distinguished gray hair, telling an extraordinary story. It was how he had gone to the Netherlands when Prince Bernhard was about to divorce Queen Juliana for being a religious fanatic. He led the Prince to Christ, and the royal family was restored. Geoffrey of Monmouth was the famed author of History of the Kings of Britain which catapulted the legendary King Arthur to the status of a British hero. It is not well known that Geoffrey of Monmouth’s surname was Arthur. From 1136-1138, Geoffrey Arthur, who was a teacher and clerk in Oxford, authored three books based on the oral and written Druid traditions of King Arthur: The Prophecies of Merlin, History of the Kings of Britain and The Life of Merlin. In 1214, Oxford University was officially established after a school of Masters and Scholars was implicated in the murder of a young woman. The November-December 2013 issue of Archaeology Magazine reveals that under the site of St. John College, one of Oxford University’s oldest colleges, was found a mass grave of human remains dating to around the year 1002 A.D.
“The team first found the previously unknown remains of one of Britain’s largest Neolithic henges, almost 500 feet in diameter. The find immediately changed the perception of prehistoric Oxford from a rather insignificant ford across the Thames to potentially one of the most important ritual sites in southern England. The henge’s eight-foot-deep ditch had become, by the medieval period, a dump for waste, including broken pottery and food scraps. It was there, in the garbage-filled ditch, that the team found the remains of 37 people. There is no mention in the Archaeology article of the Druid history in Oxford and, although there is agreement that the victims, being unarmed, were not killed in battle, no other reason for the slaughter could be ascertained. Considering the history of Oxford, however, it is not unreasonable to assume the University sits upon an ancient Druid henge, that is, a sacred landscape dedicated to ritual human sacrifice. Not far from Stonehenge and Oxford, the remains of large numbers of human babies were found in 1921. “The invasion of Britain in the first century could have been considered catastrophic enough to trigger the sacrifice of newborns by indigenous people attempting to persuade the gods to lend them assistance in their resistance to the invading Romans. Researchers at Hambleden were appalled to discover at least one infant skeleton with cut marks indicating it had been possibly ritually dismembered. Source: “Widespread Roman infanticide not substantiated by Hambelden studies,” Roman Times, May 14, 2011. It is therefore no surprise that each year the city of Oxford builds a Wicker Man, and even enlists children in this gruesome project. The Oxford Wicker Man is burnt at the Oxford Round Table Charity Bonfire Display. More than 25,000 people attend this event. In pre-Christian Britain, the Ancient Order of Druids were teachers of mystery schools with despotic authority in all matters religious and political. Although it was suppressed by the Romans who introduced Christianity to the British Isles, Druidry was never annihilated. According to Manly P. Hall, the traditions of the Druids were preserved in Freemasonry. “Druid traditions were also preserved with Freemasonry, which is thought to have evolved from the Druids or at least alongside of them. This connection is addressed in Gould’s History of Freemasonry... The three part structure of the masons is identical to the three offices of druidic priesthood: Ovates, Bards, and Druids. Also, ‘the secret teachings embodied therein are practically the same as the mysteries concealed under the allegories of Blue Lodge masonry.’ (Manly P. Hall, An Encyclopedic Outline of Masonic, Hermetic, Qabbalist and Rosicrucian Symbolic Philosophy). Oxford University was also the center for the Oxford Movement, the modern Counter-Reformation from within the Church of England. The movement, which was spearheaded in 1833 by John Henry Newman, resulted in the adoption of Roman Catholic liturgy and doctrines by the Anglican Church. “Dr. M. Luther describes the Romish harlot in these excellent words: ‘The Church of Rome is not built upon the rock of the divine word, but on the sand of human reasoning.’ It is a rationalistic church. And Lutheranism, Episcopalianism and other sects are turning back to it and support the Satanic counterfeit of a man made priesthood. “Adolph Saphir, the author of an able exposition of Hebrews has exposed the Romish blasphemy in aping the defunct Judaism in words, which are worthy to be quoted. “‘What a marvellous confusion of Jewish, pagan, and Christian elements do we see here! Jewish things which have waxed old, and vanished away; preparatory and imperfect elements which the apostle does not scruple to call beggarly now that the fulness has come – revived without divine authority, and changed and perverted to suit circumstances for which they were never intended. Pagan things, appealing to the deep-seated and time-confirmed love of idolatry, and of sensuous and mere outward performances; the Babylonian worship of the Queen of Heaven; the intercession of saints and angels, the mechanical repetition of formulas, the superstitious regard of places, seasons, and relics. Buried among these elements are some relics of Christian truth, without which this ingenious fabric could not have existed so long, and influenced so many minds – a truth which in the merciful condescension of God is blessed to sustain the life of His chosen ones in the mystical Babylon. See also: Mystery Babylon: Catholic or Jewish? From Roman Catholicism to open witchcraft and Devil worship is but a small step. In 1877, The Dragon School was founded at Oxford ostensibly to educate children (age 8-13) of professors at the University. The Rhodes Scholarship was established in 1902 by Cecil John Rhodes to be an international postgraduate award for selected foreign students to study at the University of Oxford. Today, Rhodes Scholars are trained in the tactics of global takeover and governance and become future leaders of the Rothschild empire. And facilitating the Masonic/Druidic takeover of Christianity, the Oxford Centre for Mission Studies (OCMS)—the Study and Research Centre for the International Fellowship of Evangelical Mission Theologians (INFEMIT)—functions as an international hub for the control of theological education. During the Roman occupation, there was a seminary of Druids in northern Briton. With the establishment of Christianity, the Druids went underground and transformed themselves into the Culdees who lived in monastic orders, which they called seminaries, in Britain, Scotland and Ireland. As previously stated, the Ancient Order of Druids was formed at Mount Haemus Grove which is now Oxford University. The mission of Oxford University today is to train Rhodes Scholars from overseas and return them to positions of power in their own countries. There they facilitate the transition of their respective cultures from national sovereignty to global governance. The Watchman Wakes has published an extensive expose of The Masters Academy International (TMAI) which enters into Communitarian partnerships with foreign governments. Graduates from The Masters College and The Masters Seminary plant churches and train pastors and church leaders in Albania, Brazil, Croatia, Czech Republic, Germany, Honduras, India, Italy, Malawi, Mexico, Philippines, New Zealand, Russia Singapore, South Africa, Spain, Switzerland, Ukraine, USA (Russian Community), USA (Spanish Community). In his book, Fools Gold, John MacArthur critiqued Rick Warren’s warped theology in The Purpose Driven Life, but omitted to mention that Warren’s P.E.A.C.E. Plan, which is basically community development on a global scale, is the same community development that TMAI engages in with foreign governments. Like TMAI’s church-state partnerships, Warren’s P.E.A.C.E. Plan calls for the church to partner with business and government to take on the global humanitarian problems. “The fourth signature issue we began in 2003. It’s called the P.E.A.C.E. Plan. Some of you have heard about that. Many of you who were at Key West know that I talked about it. It’s a global humanitarian effort to take on the five biggest problems on the planet: poverty, disease, illiteracy, corruption and conflict. P.E.A.C.E. stands for Promote reconciliation, Equip ethical leaders, ‘A’ is assist the poor, ‘C’ is care for the sick and ‘E’ is educate the next generation. We believe that these problems are so big government can’t do it alone; business can’t do it alone; churches can’t do it alone. Some problems are so big you have to team tackle them. Notice that in Rick Warren’s P.E.A.C.E. Plan neither letter ‘E’ is for “Evangelism” but for the Church to “equip ethical leaders” and “educate the next generation.” And so the transition away from preaching the gospel of Jesus Christ is facilitated by ministers like Rick Warren and John MacArthur who are more interested in community development and the future global economy and culture. 1. Hirschman, Elizabeth Caldwell; Yates, Donald N, When Scotland Was Jewish: DNA Evidence, Archeology, Analysis of Migrations, and Public and Family Records Show Twelfth Century Semitic Roots), McFarland Publishing, 2007. 4. Adding to the vast network of MacArthur-friendly churches, the Reformed Calvinist churches and the Southern Baptist Convention fall into the category of whole denominations which promote John MacArthur’s teachings and institutions. Despite his reputation as an uncompromising defender of sound doctrine, John MacArthur is strangely able to cross all denominational barriers and bridge all doctrinal differences and to fellowship with incompatible and even warring factions of the Christian community... not as a peacemaker, for he agitates one against the other, but rather as a hypocrite. MacArthur is even a popular guest in the secular media, which he privately disparages, making appearances in programs like Larry King Live where he is never persecuted, but treated with utmost respect. MacArthur was even praised by the Mayor and City Council of Los Angeles in a 1996 Resolution congratulating him on his ministry “which has advanced the causes of Jesus Christ worldwide...and wishes him continued fruitfulness in all of his future endeavors for the glory of God.” The Mayor of Los Angeles was Richard J. Riordan, a Knight of Malta.